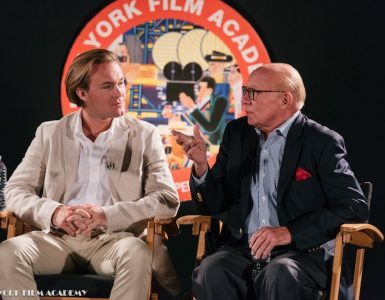 Producer Donald De Line recently visited students at New York Film Academy as part of the ongoing guest speaker series, following a screening of The Green Lantern. 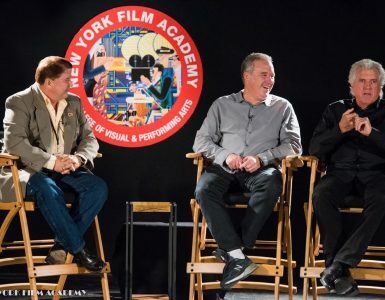 De Line served as President and Vice Chairman of Paramount Pictures, before moving on to Touchstone Pictures. During his tenure as President of Touchstone, he oversaw films including Pretty Woman, Father of the Bride, Ransom, What’s Love Got to Do With It, Rushmore, Ed Wood, and the worldwide blockbuster, Armageddon. De Line did just that, and scored his first major hit as a solo producer with The Italian Job, starring Mark Wahlberg, Charlize Theron and Edward Norton. He also produced Ridley Scott’s Body of Lies, and John Hamburg’s I Love You Man.